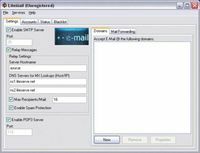 MAPILab Rules for Exchange is a program for creating and managing Microsoft Exchange Server and Small Business Server 2000/2003 server rules for processing incoming messages. The product provides much more flexibility and functionality than server rules created in Microsoft Outlook, supports all types of messages and uses a completely new technology in its work. At present, the functional features our product provides you with can be achieved only through ordering custom scripts for Microsoft Exchange Server. But along with its functional features, MAPILab Rules for Exchange has a number of serious advantages, such as its ease-of-use. 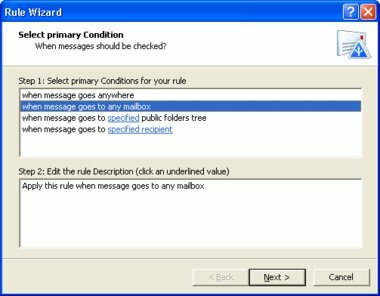 It is as easy to use this program as the Rules Wizard in Microsoft Outlook. The regular interface of the Rules Wizard allows any competent user to create and manage rules! No more scripts! Forget about scripts, debugging and testing! Now any rule can be created with just a few mouse clicks. In addition, moving over to MAPILab Rules for Exchange does not require you to trash the scripts you already have. MAPILab Rules offers seamless integration. A special manager of server message filters will provide seamless integration even in the most complex of systems that might have some additional server programs installed, such as anti-virus software, anti-spam software, content filters, etc. High ROI. Our product recoups its expense within one day: the system administrator no longer has to spend his time searching for, adjusting, debugging and deploying scripts. And at the same time, you get a considerable reduction in expenses on maintaining a deployed solution!